Thurgood Marshall, 1908–1993. Associate Justice, Supreme Court of the United States, 1967–1991. 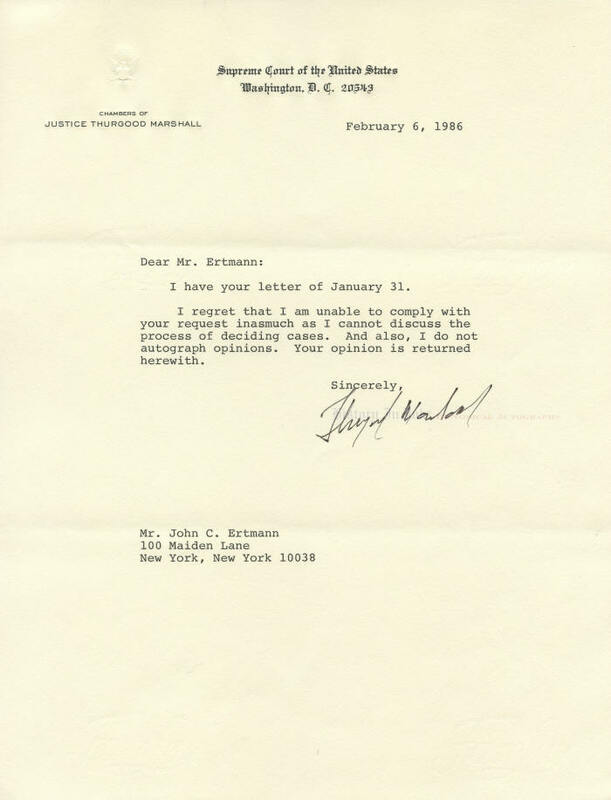 Typed Letter Signed, Thurgood Marshall, one page, 8½” x 11”, on stationery of the Supreme Court of the United States, Washington, D.C., February 6, 1986. Marshall’s first opinion for the Court was Mempa v. Rhay, 389 U.S. 128 (1967), in which a unanimous Court held that states must provide lawyers at the time of sentencing for criminal defendants who plead guilty and are placed on probation but then are sentenced when their probations are revoked. One might have thought that the liberal Marshall would have been proud to autograph a copy of that decision. In 1967, President Lyndon B. Johnson appointed Marshall, who was serving as Solicitor General, to succeed Justice Tom C. Clark, who retired in the wake of Johnson’s appointment of his son, Ramsey Clark, as Attorney General. Marshall became the first African-American to be appointed a Justice. Marshall had a stellar career as a lawyer for the NAACP. While at the NAACP, he represented civil rights claimants all over the United States and won an astounding 32 of 35 cases before the Supreme Court. Among them were Smith v. Allwright (1940), which declared Texas’s exclusion of black voters from primary elections unconstitutional; Sweatt v. Painter (1950), which declared “separate but equal” facilities for black professionals and graduate students in state universities unconstitutional; and Brown v. Board of Education (1954), which declared unconstitutional the racial segregation of public schools. President John F. Kennedy appointed him to the United States Court of Appeals for the Second Circuit, in New York, before Johnson made him Solicitor General. This is a very nice letter. It is on the engraved, blind-embossed stationery of the Supreme Court. Marshall has signed in what appears to be a black rollerball pen, which has left a bit of feathering around some of the letters.  The letter is in very fine condition, and only two normal mailing folds keep it from being extra fine. Marshall’s letters are scarce, in our experience. This is a particularly nice example from an historic Justice. Click here to see more Presidents and First Ladies items.